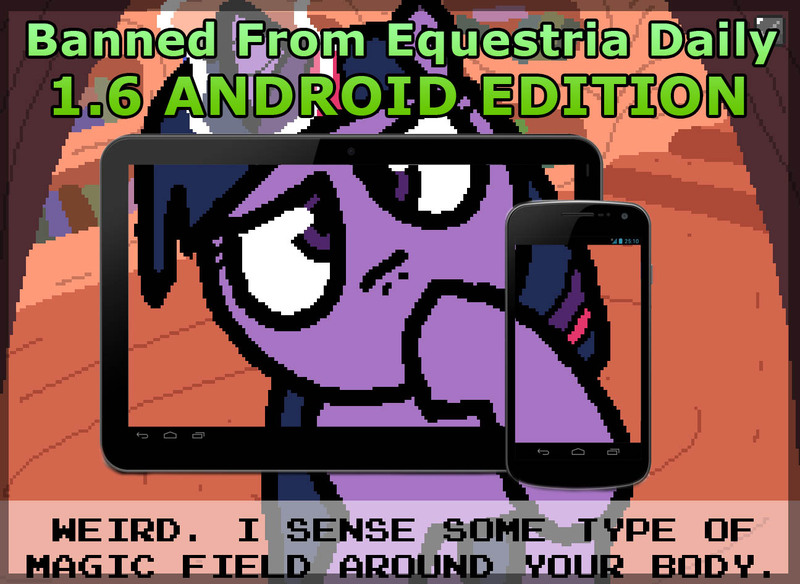 » Banned From Equestria Daily 1.6 English and Chinese Android versions. Banned From Equestria Daily 1.6 English and Chinese Android versions. This is the port and unofficial continuation of Pokehidden wonderful game Banned from equestria daily 1.5 for Android. P.s. Mainland China region uses Simplified Chinese, where as Taiwan, Hong Kong and Macao region use Traditional Chinese. Banned From Equestria Daily 1.6 English Chinese Android. Update files, version 1.6.5, download the same position. Fixed a bug that was more difficult to detect. If you have an old version, please re-download and install.